THIS WOOD SIGN WOULD BE THE PERFECT ADDITION TO YOUR GALLERY WALL OR TUCKED UP ON A SHELF. SIGN MEASURES 8" TALL BY 12" WIDE. 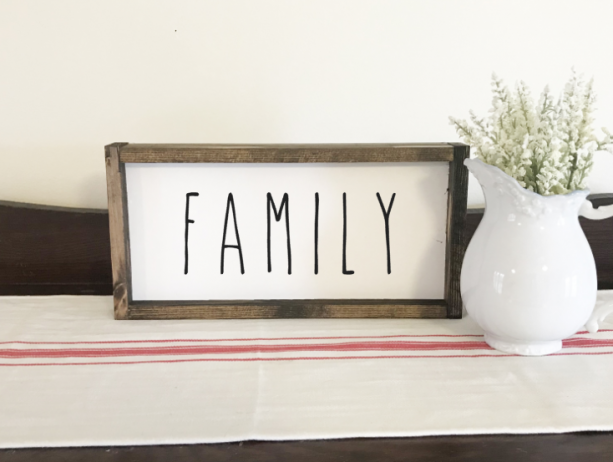 SIGN IS PAINTED WHITE WITH BLACK LETTERS AND FRAMED IN A DARK WALNUT STAINED FRAME. SIGNS COME READY TO DISPLAY WITH A SAWTOOTH HANGER ATTACHED TO THE BACK.